This list is for those who love reading eBooks even more than I do, when it comes to Android then I prefer five top eBook Reader applications which I will include here with brief description in my article. I know, people that are reading too much actually, wish to have a great reading experience to make it more comfortable. Special reading experience of eBooks on Android is really important, as it will more be fun on the go instead of carrying a big book with you. These are more than capable of helping you to read while you're walking out there, getting to work or school. Well, lets see! These are going to be my small reviews for the 5 top eReader software. This eBook reader is my favorite one when it comes to simplicity, you can switch from day and night modes smoothly, while you can alter the margins and test sizes by simply tapping on the screen. You will have an access to a great big book store named as FeedBook and it's possible also to create your own catalogs. One more great thing about this guys is that it's capable of running eBooks with support to ePuB and PDF formats that are encrypted with Adobe DRM protection scheme, not to forget that you can import any type of these formats as well. However, please expect some minor advertising with the free version, which you can get rid of it by purchasing the premium one. Fully-customizable reading experience: adjust font size, font type, font and background colors, margin, alignment and line spacing. Import your own EPUB and PDF files into the app to read them on the go. Large collection of eBooks (A lot are free), including best-sellers, new releases and classics. This, judging by that it's from Google, you may find it installed on your android device by default so go ahead and try it! 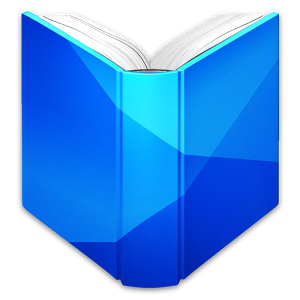 Google Play Book is not just an eReader but it's also a large library of eBooks, some of them are free while the others will not cost much. You can choose from millions of books on google play including new releases, New York Times® bestsellers, textbooks and free classics. Font size can easily be adjusted, you can also read offline with a handy dictionary that can be used with unfamiliar words, not to mention that you can import your ePuB book to the the library and you can customize even more of your reading experience. 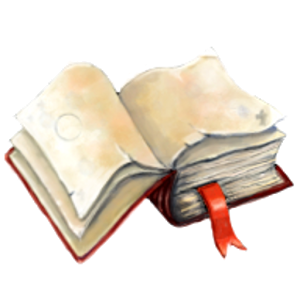 Bookmark pages, highlight text, and add notes. 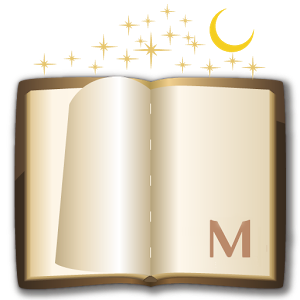 Bookmarks, notes, and reading positions are synced across your phones, tablets and computers. Search within books, use dictionary, find geographical information, discover web results, and wikipedia right on the page. Select fonts, font size, and layout for flowing text books. Choose day, night, and sepia reading modes. Listen to books with text-to-speech when publisher allows. Upload PDF or EPUB files to your library. This one is very solid free choice, it can makes use of finger gestures and you can set it to certain settings that the pages will turn by them self. 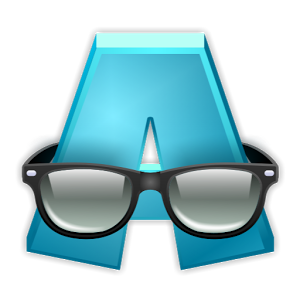 It's so customizable same as Aldiko so that you can configure it to work with any font type, font-size, line space, font scale, bold, italic, shadow, justified alignment, alpha colors, fading, background color, etc. 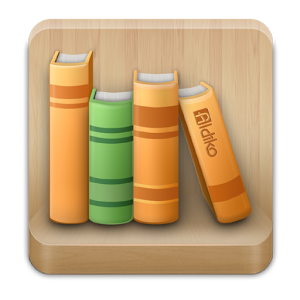 It also supports many eBook types like epub, mobi, chm, cbr, cbz, umd, fb2, txt, html, rar, zip or OPDS which is very nice for a mobile application. You can use it to read the books you purchased from a lot of stores which you will appreciate on the go. 24 customized operations (screen click, swipe gesture, hardware keys). 5 auto-scroll modes: rolling blind mode, by pixel, by line or by page. Highlight, Annotation, Dictionary (Offline or Online). Translation, Share functions all in this ebook reader. 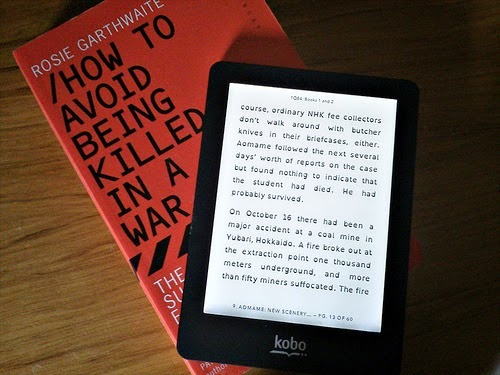 This one maybe is the most lightweight eReader software out there! While some of you may count it as a disadvantages desiring more attractive graphical user interface, a lot will disagree! Despite of its simple interface, this application puts a lot features in hands. For example, the way it supports many eBook types like epub (non-DRM), fb2, doc, txt, rtf, html, chm, tcr, pdb, prc, mobi (non-DRM), pml formats. Well, same as the others, this one will also provide you with a handy dictionary that you can use just in case of difficulty understanding some words. It has other great features like the way it can automatically format text files to detec heading or paragraphs, for example. The most good thing about this, which will make many folks happy, is the fact that Cool Reader is an open source eBook reading software. Pages or scroll view, and page flipping animation. Bookmarks on text fragments that is useful for proof reading. This eReader is the last one on our top-list, please do not look further for more because you will find nothing, trust me. Okay, let me tell you how good is this one, I think it can handle images in eBooks better than some of other application, Cool Reader to be specific. It can make use of volume buttons to turn pages which is a little sweet feature especially for smartphone users as your thumb will more likely be nearby. The interface is very adjustable and user friendly, new guys will be more than happy to consider this choice, you will not regret. A huge advantage for AlReader is its support to (.prc) and (.mobi) eBook types better than the others while some will not run these formats anyway. I will say that it looks the most appealing to me out of other mobile eBook readers, it's really beautiful, check it out and you may fall in love with GUI. Support formats: fb2, fbz, txt, epub, html, doc, docx, odt, rtf, mobi, prc (PalmDoc), tcr. Supported ZIP and GZ archives. It is possible to specify an encoding of reading file (include 932, 936, 949, 950 code page). Support Text-To-Speech (TTS) (permission to the calls need to stop tts while calling). Fb2 and TXT file editing. If a file is in an archive, edited file is unpacked to the same directory as the original one. Four profiles with independent font, color, brightness, gamma correction and indent of text. One- and two-page mode with automatic switch to the two-page mode in landscape. Configuring of display styles (headings, citations, abstracts, etc.). Each style includes font, color, text style, text size, shadow, indent, spacing and so on. Creating shortcuts for books on the home screen. Save / restore program settings / styles / current profile (+fonts, +skins) / text styles. Finally, that's pretty much all it, I guess you will not have any problems on the go now, enjoy reading and getting educated! If you are facing any issues with Digital Rights Management then please consider looking at our DRM Removal section. So, what do you think about my top list of eBook readers? Do you have any thoughts, please never hesitate to post in the comment section below, I would love to hear your opinions.